It might seem supercilious to try to predict the future of an industry, especially 20 years out. There are so many inter-related factors at play: global and regional economics, technology breakthroughs, regulation, natural disasters, wars. Yet, every year, many aircraft manufacturers and other prognosticators dust off their time-travelling methodologies and predict how many new aircraft will be built a decade or two hence. For those of you who think their predictions too self-servingly optimistic, please note that Boeing’s 1994 forecast of about 13,000 new aircraft between ’94 and 2013 became more than 16,000 actual aircraft deliveries during that timeframe. The educated guesses for the next 20 years? How about 36-38,000 new commercial aircraft deliveries, more than 20,000 business aircraft, and some 5,000 civil helicopters. So, if the experience of the past two decades holds, we could be looking at 75-80,000 total new civil aircraft across the next 20 years. Airbus, Boeing, Bombardier, Embraer and even Comac issue annual 20-year growth forecasts, as does Flightglobal/Ascend. Forecast International offers more shortsighted 10-year estimates in selected niches. Honeywell issues a 10-year business aircraft forecast and five-year helicopter predictions. Although generally covering much of the same territory, each forecast is based on slightly different categories. For example, the Airbus forecast addresses only passenger aircraft above 100 seats, as well as freighters. Bombardier deals only with aircraft up to 150 seats, but also incorporates business aircraft. Embraer’s range is from 70 seats upwards, and Flightglobal starts at 14 seats. The Flightglobal fleet forecast is the most ambitious, estimating the global commercial aircraft fleet in service will increase by 80 per cent to 45,600 aircraft in 2033: 37,900 passenger jets, 4,150 passenger turboprops, 3,550 commercial freighter aircraft . . . fully 40 per cent of those operating in the Asia-Pacific and China region. Airbus envisions a fleet of only 37,463 (34,818 passenger aircraft and 2,645 freighters) of 100 seats or more by 2033, ignoring the 99 or fewer seat aircraft it does not make (though partially Airbus-owned ATR does). Airbus claims single-aisle aircraft will represent 70 per cent of demand in units, but wide-body aircraft such as its A380 will represent 55 per cent of overall value. Boeing’s crystal gazers estimate a total fleet of 42,180 aircraft of 90 seats or more: only 5,410 of the current fleet retained, 15,500 replacements (74 per cent of what we fly in today), and 21,270 pure growth (58 per cent of the 2033 net). The Airbus-Boeing duopoly is expected to garner 86 per cent of the US$4-5 trillion value of the world’s commercial jet aircraft through 2033. However, Canada’s Bombardier, China’s Comac, Brazil’s Embraer, Russia’s Irkut and Japan’s Mitsubishi are all expected to capture increasingly significant volumes of jet demand. World average Gross Domestic Product (GDP) growth of 3.2 per cent but more than 6 per cent in China and India. Oil prices expected to rise to more than US$150 per barrel (the current price dip, likely temporary, had not occurred when forecast models were assembled). This is accelerating fleet replacements with new fuel-efficient and environmentally friendly models. By 2033, global or major network carriers will represent about 70 per cent of all passenger traffic. Low-cost carrier (LCC) market share is expected to increase to more than 20 per cent. To keep the expanding commercial fleet in the air, Boeing says the industry will need 533,000 new pilots worldwide over the next 20 years, an increase of 35,000 (seven per cent) over last year’s prediction, and 584,000 maintenance technicians, up from 556,000 (five per cent). The largest anticipated increase in pilot demand, not surprisingly, is in the Asia-Pacific region, up from 192,300 a year ago to 216,000 – a 12.3 per cent increase. The Middle East will need 55,000 new pilots, a whopping 37.5 per cent boost from the 2013 forecast. The Gulf region also shows the largest percentage increase for techs: a nearly 17 per cent gain. Bombardier notes that 70 per cent of the world’s short- to medium-haul markets serve between 50 and 250 passengers per day each way, and are therefore best served by 20- to 149-seat aircraft. The Montreal manufacturer reiterated in November its expectation that the CS100 will enter service in the second half of 2015, the larger CS300 six months later, despite a delay during summer 2014 in the flight test program. Some skeptical analysts suggest a slip to 2016 for entry into service. Brazilian rival Embraer foresees a need for 18,500 narrow-body commercial aircraft (50 per cent of them replacements for existing fleet), 6,250 new jets in the 70- to 130-seat segment, 2,300 70- to 90-seat jets, and 2,050 turboprops of 70 seats or more. During the 2014-2023 time period, Embraer is expected to produce 971 regional aircraft, Bombardier 741 regional aircraft, and ATR 739 turboprops. New players Comac, Mitsubishi’s MRJ, and Russia’s Sukhoi’s Superjet 100 will also pick up some sales. In the business jet category, Bombardier reduced its previous-year forecast to 22,000 (from 24,000) for the 2014-2033 timeframe. These numbers are for aircraft segments in which the manufacturer competes with its Learjets, Challengers and Globals. Michael McAdoo, Vice President, Strategy and International Development, Bombardier Aerospace, expressed confidence “in the strong, long-term potential of the business aircraft industry,” despite a slump since the peak year of 2008. Bombardier’s business aircraft market forecast anticipates 9,200 aircraft deliveries over the next 10 years and 12,800 aircraft for the decade after that. 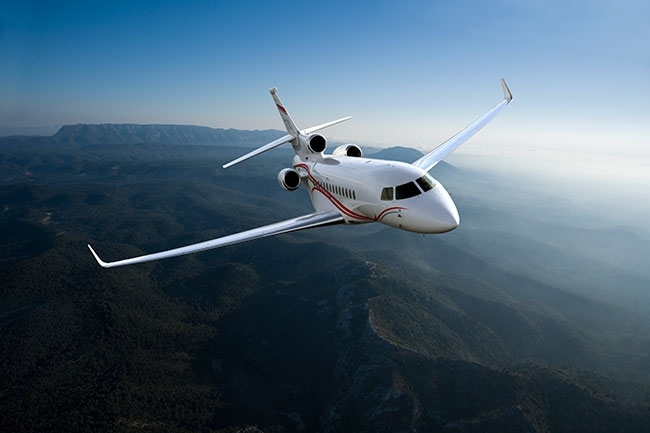 By contrast, the Honeywell business aircraft outlook reflects an approximate 7-8 per cent increase in “value” over the 2013 forecast: slightly higher unit deliveries coupled with modest list price increases and the continued strong showing of larger business jet models. North America represents nearly 60 per cent of projected global demand based on the region’s larger installed business jet base. Forecast International’s study predicts 9,634 business jets will be produced during the next decade. They said the recovery “got underway” in 2013 and that business jet production will increase from 719 aircraft in 2014 to a peak of 1,136 aircraft in 2020 before tapering in 2021-2022. Honeywell Aerospace forecasts that civil helicopter operators will purchase up to 1,000 new aircraft per year over the next five years, a total of 4,800-5,500 units – slightly lower than their survey a year before. Light single-engine helicopters continue to be the most popular with roughly half of operators planning a purchase in this product class. About one-third intend to acquire a new intermediate/medium twin-engine, and one-quarter plan to buy a light twin. Demand from large oil and gas fleet operators continues to support overall volume in the heavy multi-engine class. Latin American will continue to lead all regions in terms of purchase rates, with up to 32 per cent of respondents’ fleets slated for turnover with a new helicopter replacement or addition. The forecast of civil turbine-powered helicopter purchases has the five-year share of demand from the U.S. and Canada at 26 per cent, which combined with Latin America represents 50 per cent of the total global demand. Europe’s share closely follows with 23 per cent, with the Asia-Oceania region accounting for 19 per cent, and Africa and the Middle East ranking at under 8 per cent. Operators who intend to purchase a helicopter within the next five years noted that the age of their current aircraft, contracted replacement cycle and the warranty expiration were key drivers for their decision. For those surveyed, the make and model choice for their new aircraft is strongly influenced by range, cabin size, reliability and safety, hot/high performance and brand experience. Survey results also show that Latin America leads the way in terms of fleet replacement and growth expectations, rivaling Europe as the world’s second largest regional market behind North America. Strong results were also recorded in China and Brazil. The 2014 outlook presents a snapshot of the helicopter business at a point in time and reflects the current business and political environment. The Honeywell survey queried more than 1,000 chief pilots and flight department managers of companies operating 2,800 turbine and 290 piston helicopters worldwide. The survey excluded large fleet or “mega” operators, which were interviewed separately.